This Celtic bridal tiara features the Trinity knot and it is enhanced with crystals along with freshwater pearls. Sorry, this Irish tiara is now sold out. 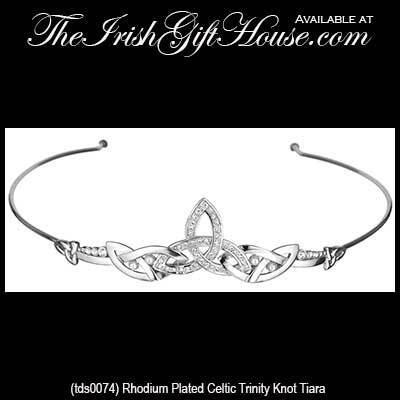 This Celtic tiara, like all the Irish made jewelry at The Irish Gift House, is nickel free and hypoallergenic. 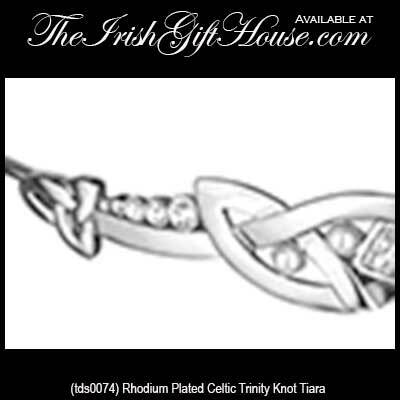 This Irish tiara features the Celtic Trinity knot icon in the center and it is enhanced with freshwater pearls and crystals. The Celtic tiara is rhodium plated and the center design measures 1 1/2" wide x 1 1/4" tall. 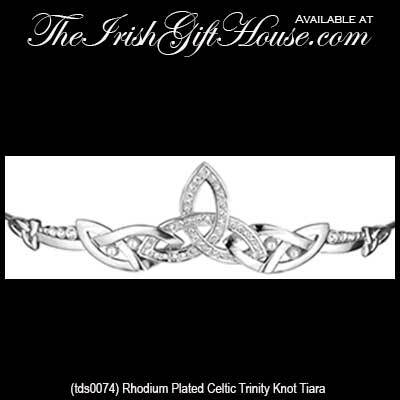 The Trinity tiara is made in Ireland by Tara Jewelry and it is gift boxed with a Celtic knot history card that is complements of The Irish Gift House.